It has been a couple years in the making, but it looks like the Russian designed YotaPhone will finally make it into production. The Yota Devices expects to have the dual-screen Android handset available to consumers in the second half of this year. 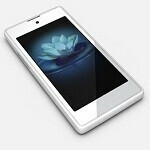 Yota Devices has signed a deal with Hi-P, based in Singapore. Hi-P has made equipment for Apple, BlackBerry and Amazon. Yota will also be opening an R&D facility and business development office in Singapore to help perfect the technology, scale it for production and maintain the established partnerships that have been built for this device, and future iterations of the YotaPhone. The YotaPhone has the distinction of being a dual-screen device featuring a 4.3-inch HD color main screen, and a 4.3-inch e-Ink display on the back. The e-Ink display offers a number of interesting benefits for the device, it can enable battery conservation and it can obviously be used as an e-reader. The YotaPhone runs Android 4.2, but instead of the on-screen navigation buttons, a gesture area has been built into the device. Russia will be the first market receiving the YotaPhone, dates and pricing have not been released, but previous reports indicate the company is aiming for a $500 price point. The device will come with your choice of 32GB or 64GB of storage. It also features a 12MP main camera, 2,100mAh battery and a dual-core 1.5GHz Qualcomm Snapdragon processor. The company also makes routers and LTE switchgear, so expect LTE support when this device makes its way to your neighborhood. The YotaPhone will be making an appearance at MWC so we look forward to learning and seeing more of this device. Moscow, Russia and Singapore, 20 February 2013 – Yota Devices today announced it has selected Singapore Hi-P as its ODM partner for YotaPhone, the first dual-screen Android phone with a liquid crystal display on one side and an electronic paper display on the other. Hi-P is one of the fastest growing Tier 1 contract manufacturers in Asia, specializing in wireless telecommunications and consumer electronics. Their clients include significant brand owners in the mobile, lifestyle and consumer electronics industries. "Bringing a unique product like YotaPhone to the market requires an experienced manufacturing partner with both qualitative and quantitative engineering skills and Hi-P excels in both,"said Vlad Martynov, CEO, Yota Devices. "Hi-P has a proven track-record in high volume production of mobile devices with sophisticated design and advanced technology." Yota Devices also announced that it is establishing an R&D and Asian sales office in Singapore. The Singapore R&D center, along with the company's development teams in Russia, the U.S. and Finland, will work with Hi-P to perfect the technology in production of the first and subsequent generations of YotaPhone. "YotaPhone is a real differentiator in the smartphone space, and Hi-P is pleased to be workingwith Yota Devices to bring this one-of-a-kind product to market," said C.T. Yao, Executive Chairman and CEO of Hi-P. "Hi-P understands that speed and flexibility are keys to success in this rapidly changing market and we are committed to deliver on-time results of the highestquality for Yota Devices." YotaPhone, which was unveiled in December 2012, is expected to be ready for sale first in Russia and then globally in the second half of 2013. Yota Devices is a private company dedicated to mobile communications and connectivity devices based in Moscow, Russia. Yota Devices' international team of software and hardware engineers and experts come from Russia, the U.S. and Finland. The company's business philosophy is based first on innovating the user experience and then on applying the best emerging technologies to deliver on this promise. Yota Devices is bringing the company's knowledge and obsession with the user experience to the new YotaPhone based on the company's successful connectivity devices business. Yota Devices has already sold more than 3 million fast, reliable and attractive modems, routers and other connectivity devices. The company's share of the LTE modems market is 6%. For more information visit www.yotadevices.com and www.yotaphone.com. Only Android enables such innovation. Rest all platforms are too rigid to innovate upon. Android all the way!! From fridges to satellites, Android can be modded to support almost eveything. huh wheres the 'mysterious Nokia device' article? did they just delete the whole article? This may be the coolest mobile device I have ever seen. The thinking that went into such a device is truly astounding. One downside, very hard to protect one screen, let alone two.